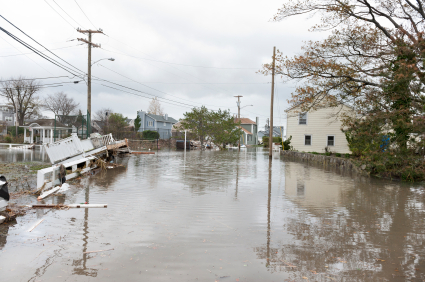 Hurricane Sandy was a powerful storm that caused a lot of flooding and damage to homes. Over the past few years, Maryland has experienced several severe weather events. In 2011-2012, for example, a record number of tornadoes touched down in the state. (Ten tornadoes were recorded on June 1, 2012, alone.) The amount of wind and rainfall that these storms brought caused damage to human-made structures. blizzards,blizzards tornadoes,tornadoes heat waves heat waves and excessive rain.excessive rain You will develop solutions to protect homes from severe weather. Before beginning, make sure that each student has a copy of their Engineering Portfolio . After students have explored this Severe Weather page, have them turn to pages 1 and 2 in their portfolios. How does weather impact people's lives? A meteorologist is a scientist who studies weather and predicts what kind of weather we will get in the future. Some meteorologists work for the government, some work for businesses, and some give weather forecasts on television!